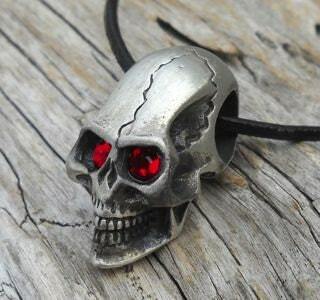 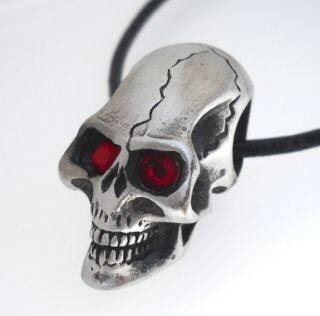 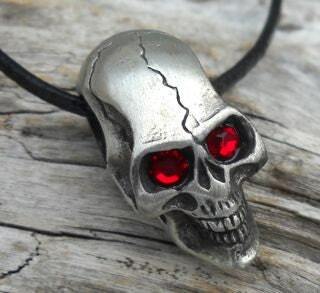 This classic Skull Pendant with Red Eyes is handcast and hand-finished in solid American Pewter with a shiny finish resembling antiqued sterling silver and adorned with Genuine Swarovski Crystal. 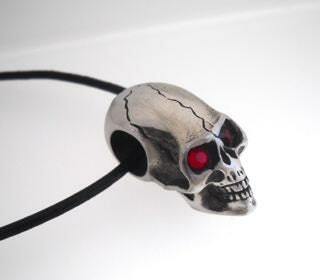 The Skull is on an 18" genuine leather cord with a lobster claw clasp and 2" extension chain, or you can request one of our additional necklace options below. 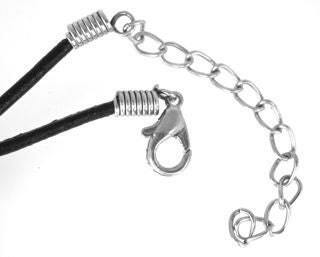 Length (chin to back of head): 1 1/4"